Handy Tip – How can I set my AMS Preferences? 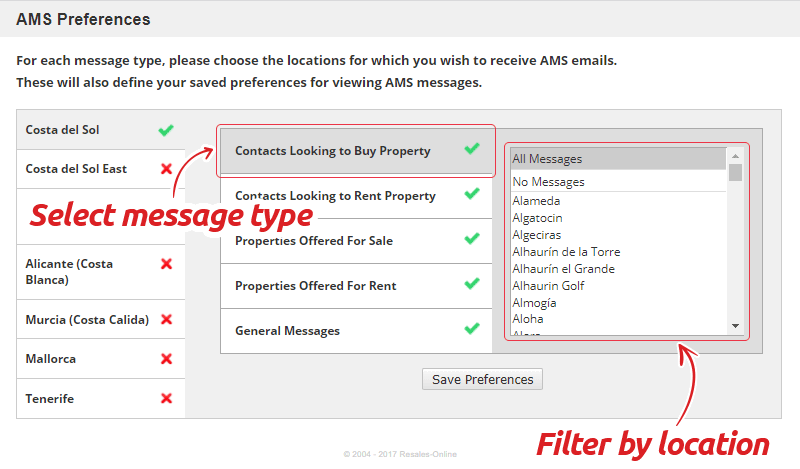 Did you know you can apply filters so that you only receive AMS messages which are relevant to your business? Are you are receiving AMS messages for locations where you do not operate? 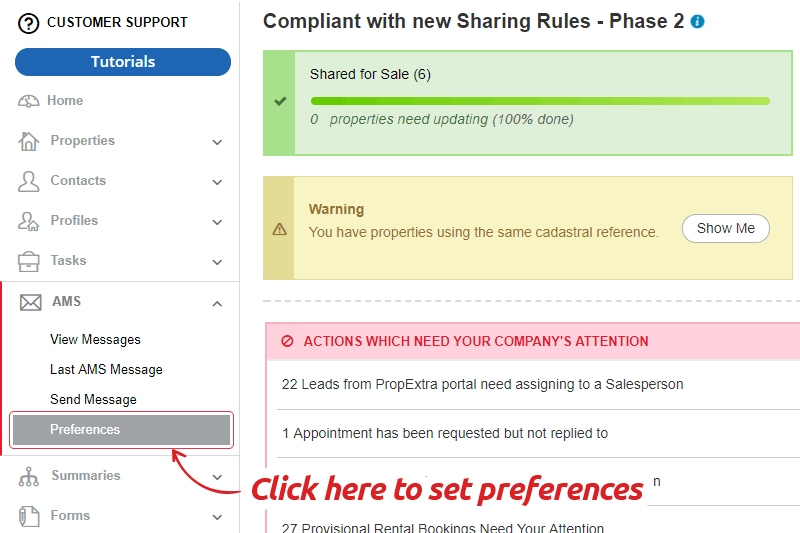 Are you receiving AMS messages about RENTAL properties when you only deal with properties for SALE? Click on the link below for instructions on how to set your AMS preferences.